Ruymgaart, F.H. (1974). Asymptotic normality of nonparametric tests for independence. 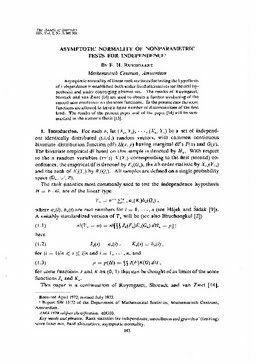 Annals of Statistics, 2(5), 892–910.